MANILA, May 8 – President Rodrigo Duterte will be traveling to Cambodia, Hong Kong, and Beijing this week to attend several economic events. In a press briefing Monday in Malacañang, Foreign Affairs Spokesperson Robespierre Bolivar said the President will be participating as honored guest at the World Economic Forum (WEF) for ASEAN from May 10 to 11. Duterte will attend the forum primarily in his capacity as chair of ASEAN. “As ASEAN Chair, the President is expected to share his views on the region’s achievements and challenges, and to deliver a message to the youth of ASEAN. The President has also been given the opportunity to address international investors regarding his economic plan,” Bolivar said. During the WEF event, President Duterte will also discuss the progress made in building the ASEAN Economic Community. 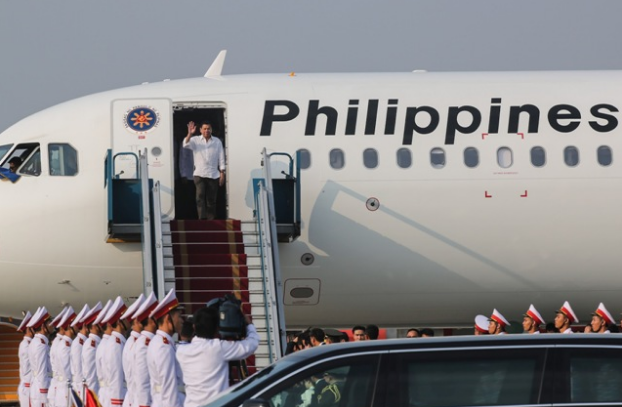 From Cambodia, the President will fly to Hong Kong where he is scheduled to meet with a large Filipino community based in the Special Administrative Region. According to the DFA official, there are around 210,000 Filipinos in Hong Kong, working mainly in the hotel and restaurant industry or in the households of Hong Kong residents. “The Filipino community in Hong Kong has been actively partnering with our Consulate General in ensuring the rights and welfare of our ‘kababayans’ in Hong Kong are protected and promoted and the community has also been instrumental in promoting enhanced trade relations between the Philippines and Hong Kong and in promoting our country’s investment opportunities and tourist destinations,” Bolivar said. The President is expected to stay in Hong Kong from May 11 to 13. From Hong Kong, Duterte will immediately proceed to participate in the Belt and Road Forum (BFR) for International Cooperation where he will join 27 other heads of state and government, as well as heads of three international organizations. The BFR event is scheduled to take place on May 14 to 15. The BRF will have three parts: the opening ceremony, a ministerial level dialogue where there will be an exchange of views involving participants from government, industries, and research institutes; and a leaders’ roundtable to be chaired by President Xi Jinping which will be attended by the heads of state and government and international organizations. Topics expected to be discussed during the event include: infrastructure connectivity; economic and trade cooperation; industrial investment; energy and resources; financial support; people-to-people exchanges; ecological and environmental protection; and marine cooperation. Bolivar said the DFA is trying to work out possible bilateral meetings with China and the 27 other heads of state who are attending the forum. He added though that bilateral talks with China would focus primarily on economic issues. “Since this (BFR) is primarily an economic forum, we would expect that if such a meeting would take place, the President would probably be discussing economic cooperation with China,” Bolivar said.